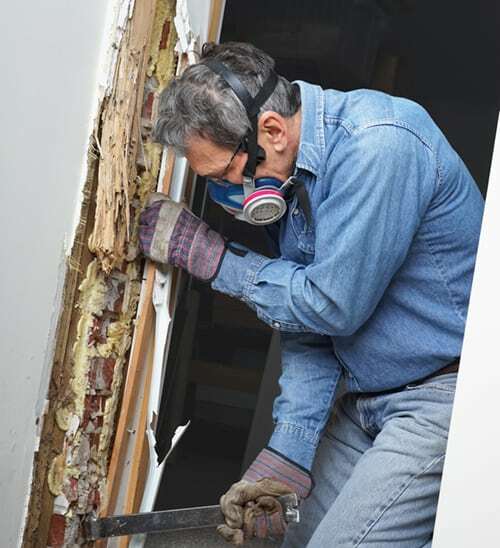 When it comes to getting inside of your home, termites are very skilled. The professionals at Rest Easy Heat are experts in preventing termites from becoming an problem. The following steps will help you protect your home. A very important step in termite extermination is drilling. The spacing between the drilled holes is crucial, as holes drilled too far apart may cause the chemical application unsuitable to elimiante termites. Prior to applying the chemical application, make sure to sweep the holes. Dirt areas around your home can be trenched in order to apply chemical barriers. After digging the trench, a rod treatment is used on the exposed ground. Make sure to access behind all trees and shrubs during the trenching process. 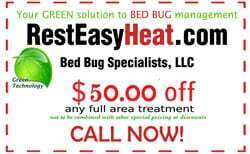 After applying the proper chemical treatment, use untreated soil to cover the area and seal the barrier betwwen the infestation and your home. We follow the Integrated Pest Management methodology to assure you that we provide highly effective services. Please contact us for more information. Make sure that all bushes and shrubs are trimmed. Keep the foundation of the home free from contact with mulch. Store firewood away from your home. If it is stored during the winter, make sure it is raised off the ground. Keep the perimeter of your home clean from any type of loose wood. Termites need moisture to survive, eliminate drainage problems on your property that lead to standing water. Keep gutters clean of debris. 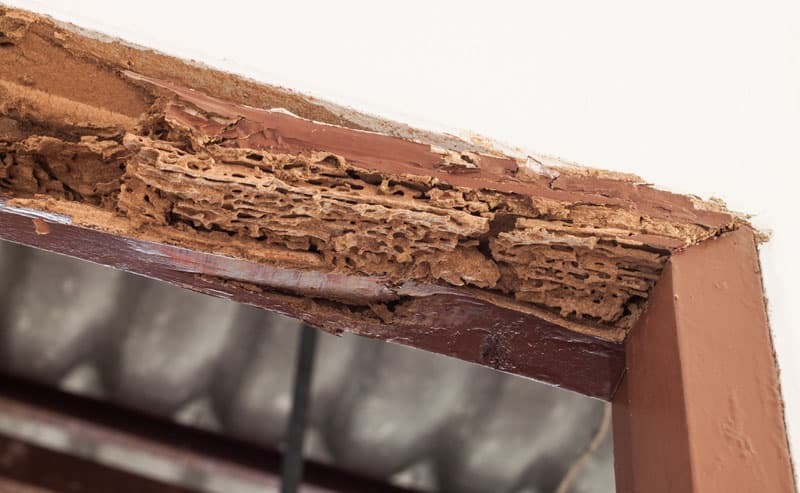 Termites are attracted to these types of obstructions. Make sure all cracks are sealed in the foundation of your home. Termite infestations are a major fear for homeowners and for good reason. These pests are responsible for more than $5 billion in damage every year, and these costs aren’t covered by homeowner’s insurance policies. Rest Easy Heat, the New Jersey termite control experts, have all the details about the termite threat in New Jersey. In New Jersey, the main termite species to worry about is the Eastern subterranean termite. These pests live in large underground colonies with as many as two million members. The colonies feed 24 hours a day, 7 days a week, meaning they can cause serious damage to homes. Over time, buildings can collapse completely. Drywood termites are another termite species that can pose problems in New Jersey. While they’re not native to the state, they can sometimes hitch a ride on wooden objects like furniture. Then, they can infest structural timbers, flooring, doors, window frames, or any other dry wood in your home. Do-it-yourself termite control products are available, but they will rarely get rid of a termite infestation. Termite treatment is very difficult, and you need the right equipment and skills to get the job done. Pest control professionals have access to specialized equipment like soil treatment rods and masonry drills. They also have access to commercial-grade insecticides that homeowners can’t purchase. Treating termites may require hundreds of gallons of termiticides. 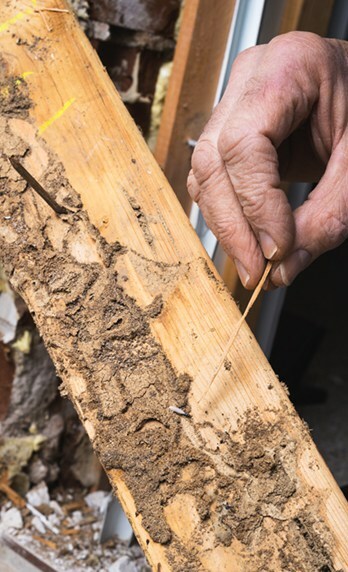 Termites can cause significant damage to homes in New Jersey, but with help from a termite control professional, you can keep your home safe. If you’re worried about termites, call Rest Easy Heat today.